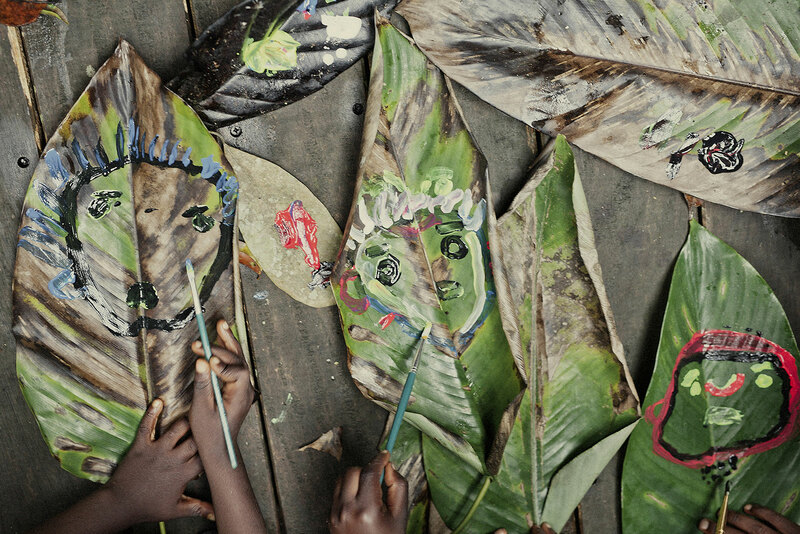 Tales of Us: “The little Fish and the Crocodile” is a fable from the rainforest in the Odzala National Park in the Republic of Congo told by the children of the Sanza Mobimba Kindergarden. 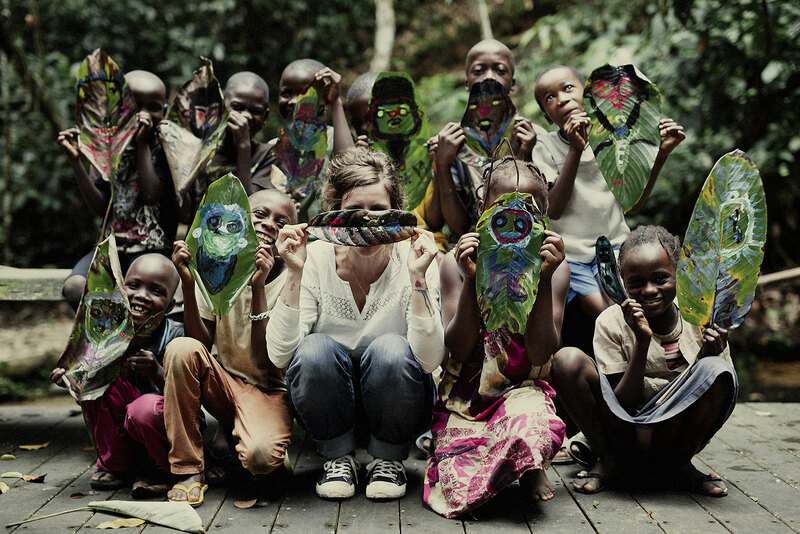 In cooperation with the SPAC foundation and their teaching methodology, Tales of Us has journeyed to the Congo several times over the last two years with an interdisciplinary team of teaching experts and creative professionals. Together we have worked with local teachers, developing children’s creativity and fostering a deep understanding of the joy essential to the art of storytelling. Encouraging local kids to draw from the elements of nature, they have created interesting characters with which to tell their stories. 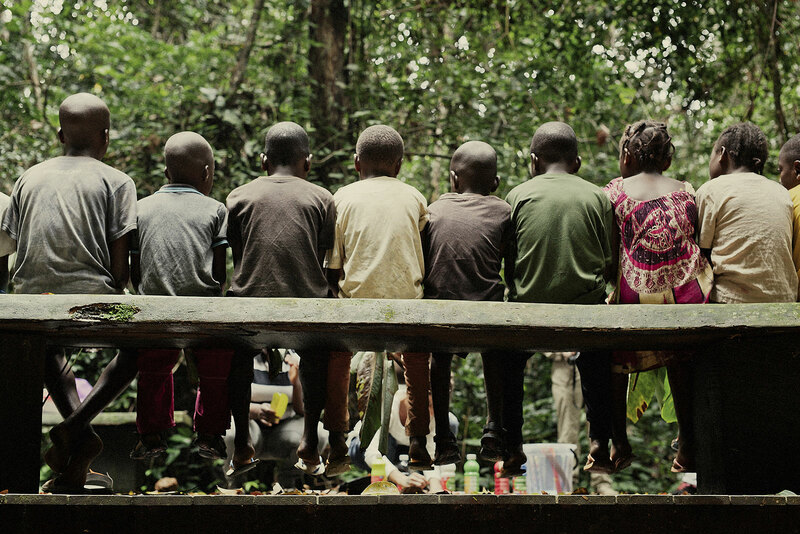 Over the course of the workshops, the children of Sanza Mobimba progressed from initial character creation, to storytelling and development. “The little Fish and the Crocodile” was not only the preparation of the film but also the main focus of its concept. With our team only there to facilitate and support a positive outcome, all creative content within this project including art direction, stage design and costuming, has come from the children themselves. 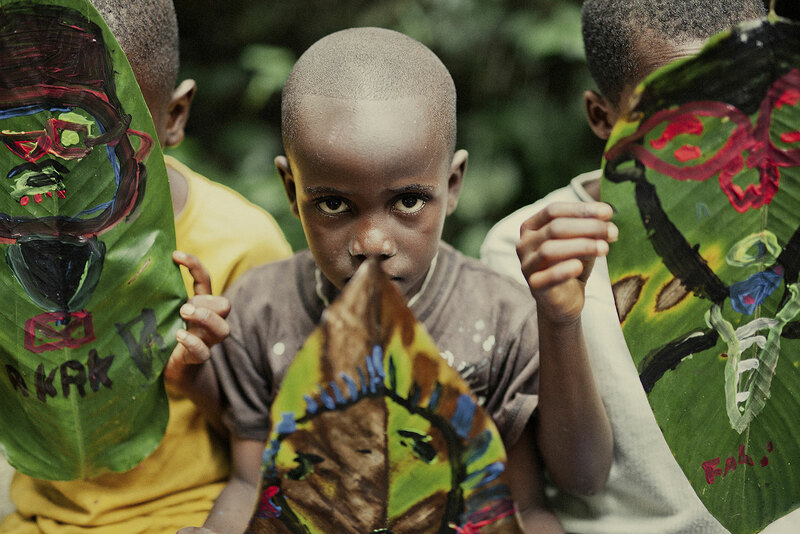 Adorned in costumes made from the natural elements of their forest home, the children of the village are the proud actors in their own adaptation of this traditional Congolese story. Warum? Wir wollen das Verständnis für Naturschutz bei Kindern und Jugendlichen wecken, damit sie dafür als Erwachsene ethische Verantwortung übernehmen. Und um die Teilnehmer der Workshops bereits in jungen Jahren an das Problembewusstsein heranzuführen. Das Projekt ist ein Joint Venture unter der Federführung von Storming Donkey und der Tales of Us gGmbH, zusammen mit der SPAC, einer Afrikanischen Naturschutzorganisation. Es wird unterstützt von einer Gruppe von Bildungs-, Technologie- und Psychologie-Experten.